Grace is CWOW's Kenya Director and head of Mwangatu Women, an organization in Kenya (also listed in our artisan portfolio). In addition to being phenomenal in both positions, Grace also makes her own pieces that have selling space at CWOW's brick and mortar store in Fort Wayne, IN. Her story is truly spectacular. Feel free to read it below. Grace Mwangi is a kind and gentle mother with a quick smile and wit. It belies the incredible life challenges she has overcome. Growing up in a remote village of Kenya, Grace was ostracized by her own family members but quickly found a world of creativity within her own imagination. She loved to make jewelry out of scraps of trash and seeds she found along the village paths. She had dreams of moving to a big city, of meeting a kind man who would love her and provide for her, and of starting a family where she could fully express her nurturing spirit. 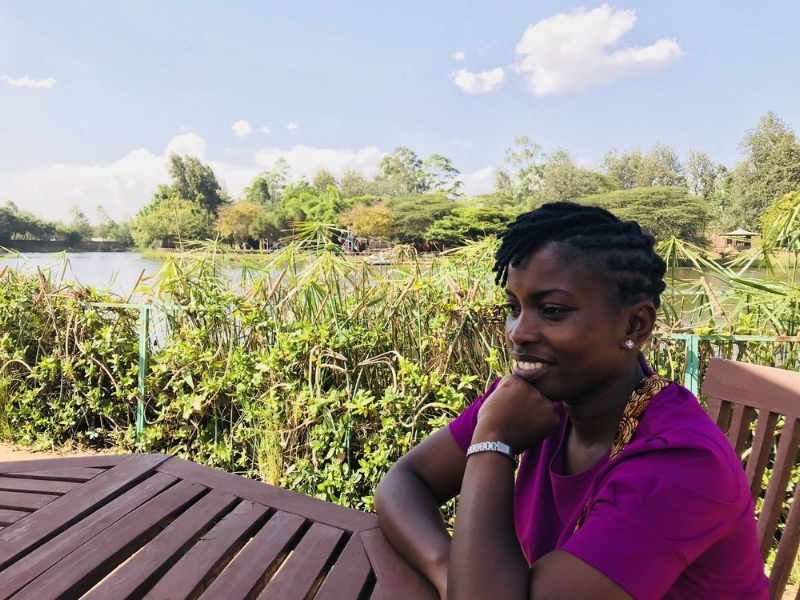 As a young women, she took the risk and moved to Nairobi, the capital of Kenya. She met her husband James, who was even more handsome than she imagined. He was a hard worker and great provider. Together, they had a beautiful baby girl named Kelly. They were a picture-perfect family until the day her husband was mercilessly murdered, and the nonprofit he had started was seized by unscrupulous co-workers. She was blocked from working there any more and was left with nothing but a broken heart. But she never gave up. She persevered. Two years later (2012), she took business training from CWOW. With her tender heart for those around her living in crippling poverty, she began to offer women in her circle of influence some of her insights. Today, she is CWOW’s Kenya Director and has worked with women in Uganda and Malawi, as well as many groups in Kenya using CWOW’s Unlocking Your Design business training curriculum. She begins the training by helping each woman identify her own assets, especially the ones the trainees may have never recognized. Then Grace shows them how to match their ideas with a legitimate market need that can be turned into a real business. 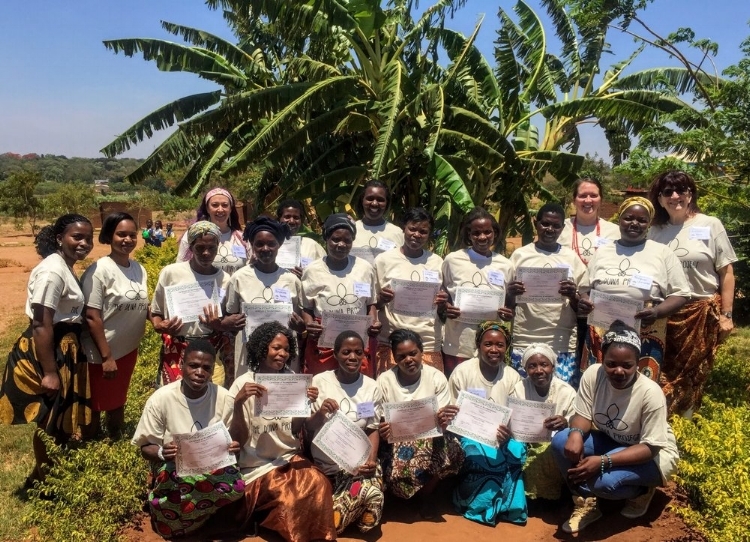 Simple money management skills and tools for leveraging influence shows each woman how she can use her business influence to positively transform not only her life, but also the community's livelihood. With a clear business plan, each trained woman is able to use her business road map to move to a higher level of income. Grace is unselfish, compassionate and an ambitious visionary for the women in her country. She has worked in Kibera and Kawangware, two of the largest slum areas of Nairobi. Without regard for her own tidy appearance, she walks through dirty, rocky paths lined with mud houses and lovingly seeks out women who are struggling to feed their families. She encourages them and offers them ideas on how to improve their businesses so that they may be self-sufficient. It is clear Grace believes that each woman deserves the dignity of capitalizing her own assets into a better future. And when people disappoint her, Grace doesn’t walk away; she keeps trusting in them and demonstrates the strength that comes when they are empowered with accountability. With her active imagination first sparked as a child, Grace still taps into the power of creativity. She uses her ability to look at what is and imagine what could be in every situation. She is a woman making strides for other women around the world.